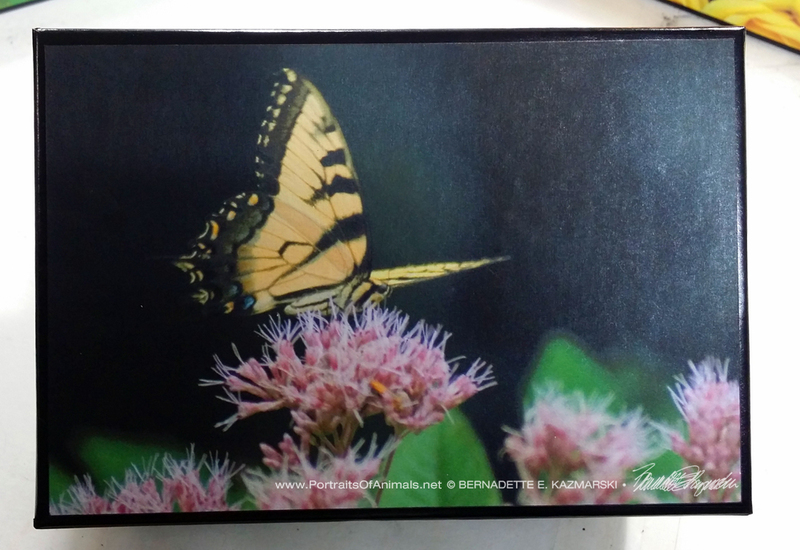 This full-lid gift box is gloss coated in black on the lid and white on the bottom, fully white on the inside. 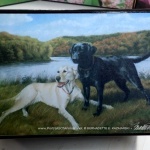 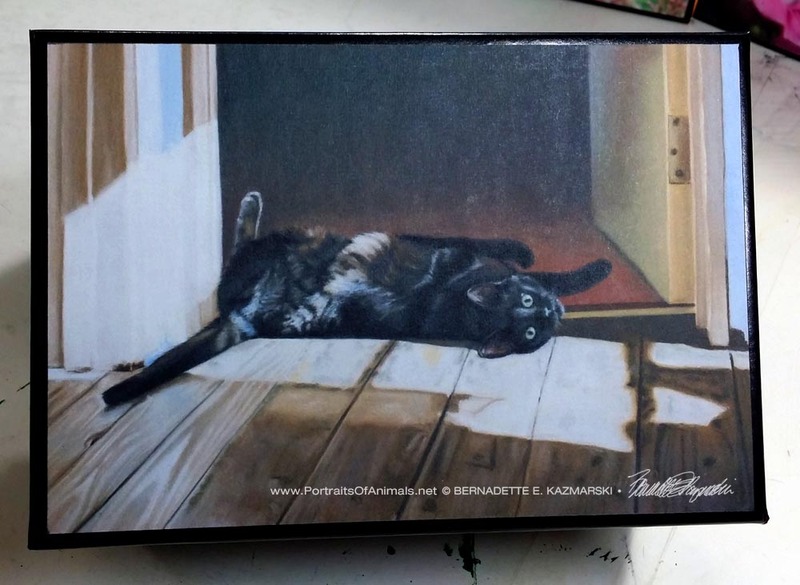 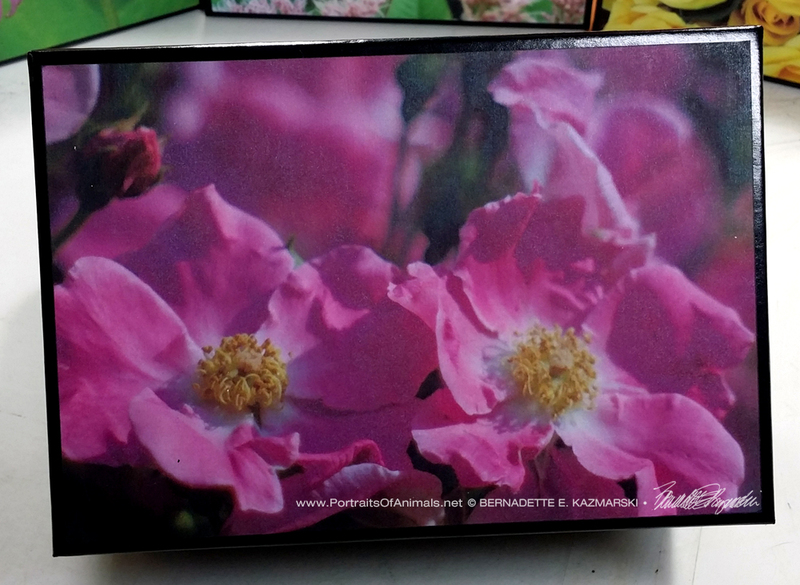 On this box I’ve covered only the top with a print of a painting or photo. 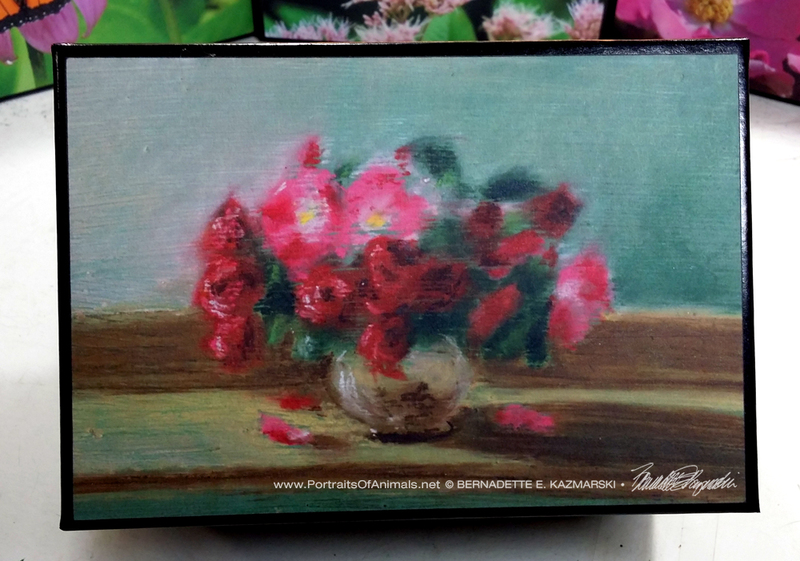 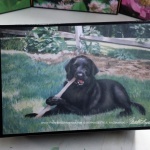 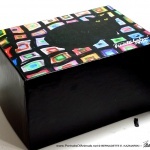 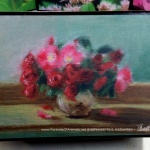 Box measures 5″ wide x 7.25″ deep x 4″ high. 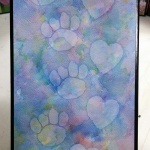 Price is $15.00 each which includes shipping. 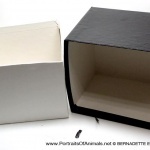 Ordering information is below the descriptions. 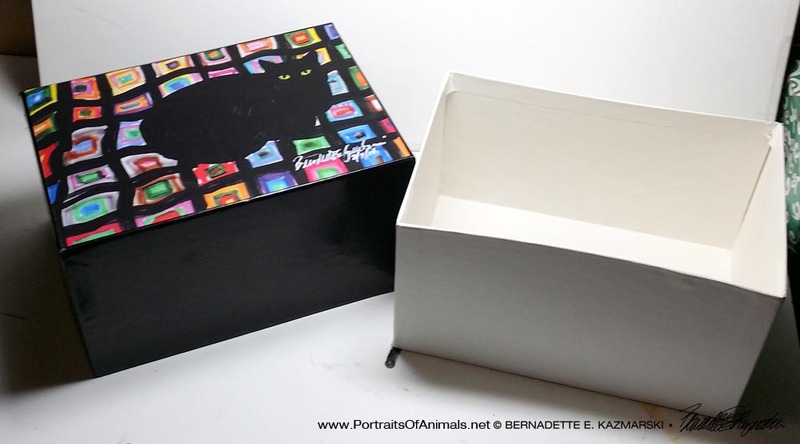 These boxes can display in two different ways, sitting face-up on a table as seen below, or on a side facing outward as seen above, so they can be stored on a shelf in many places and you’ll still be able to enjoy the image. 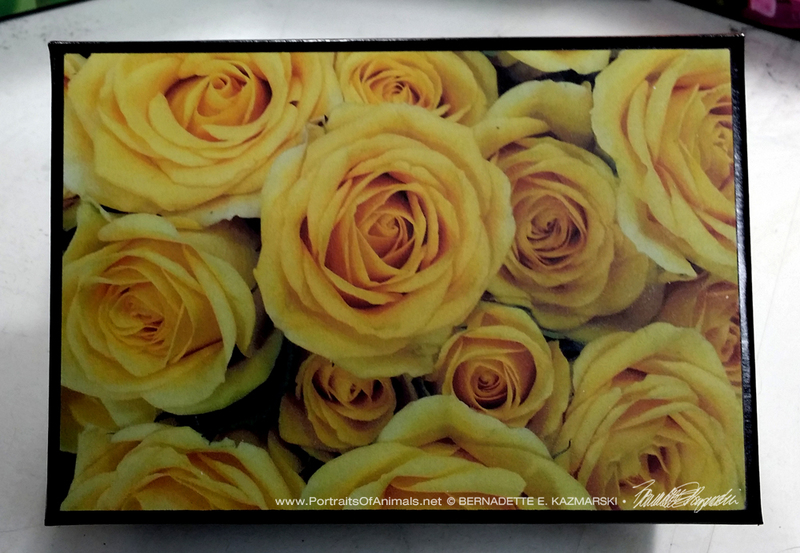 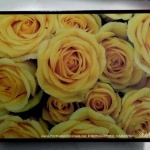 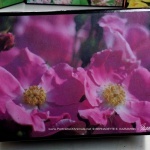 You can use them Use for storage for small items, photos, jewelry or special keepsakes, or use as gift boxes. 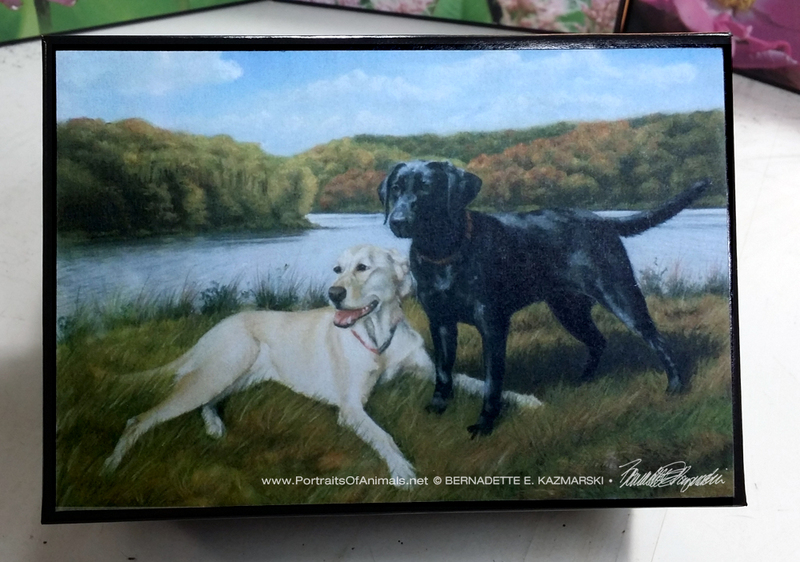 I’ve even made up a few special orders for them to be used as simple, inexpensive urns for the cremains of beloved pets. 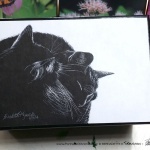 The local vendor who makes the greeting card boxes I purchase makes all types of small display packaging. 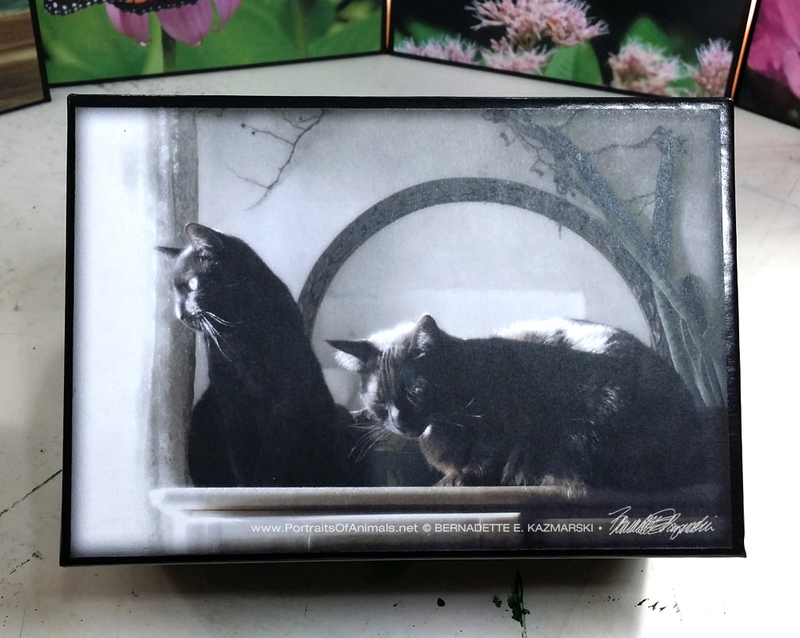 I found they had these black gloss-covered boxes in three sizes on clearance. 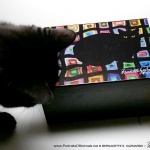 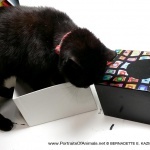 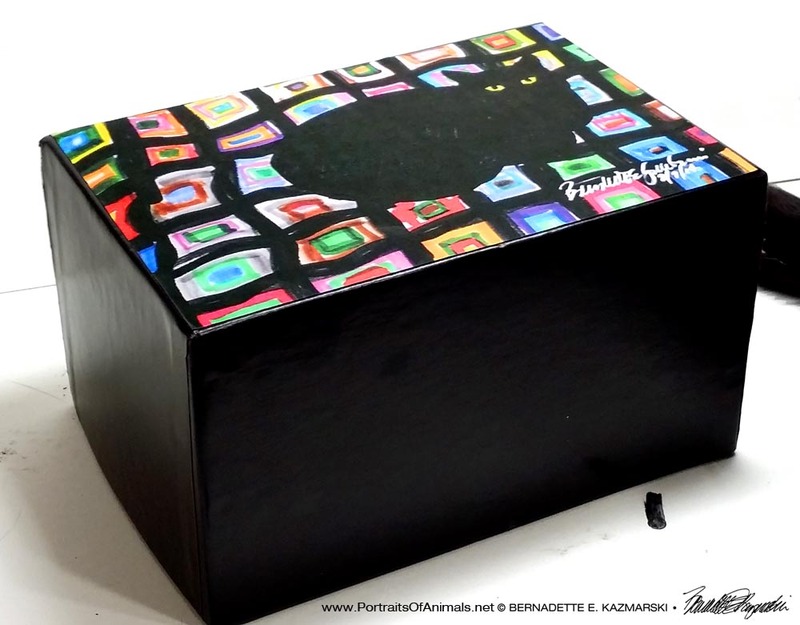 Black cats, black boxes, what could happen there? 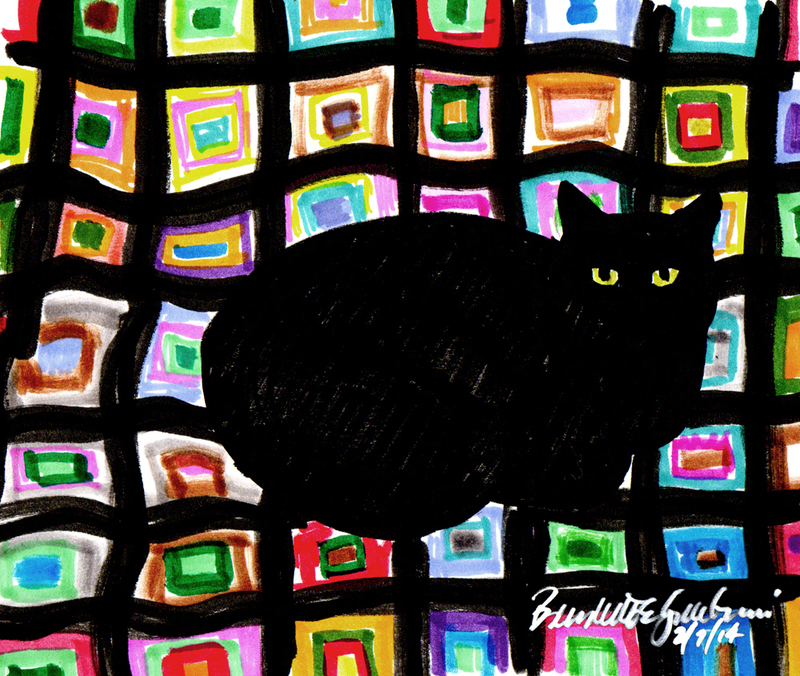 I designed one with “Mewsette on the Afghan” for the holidays and I’ve been ready to make more—and not just with cats on them. 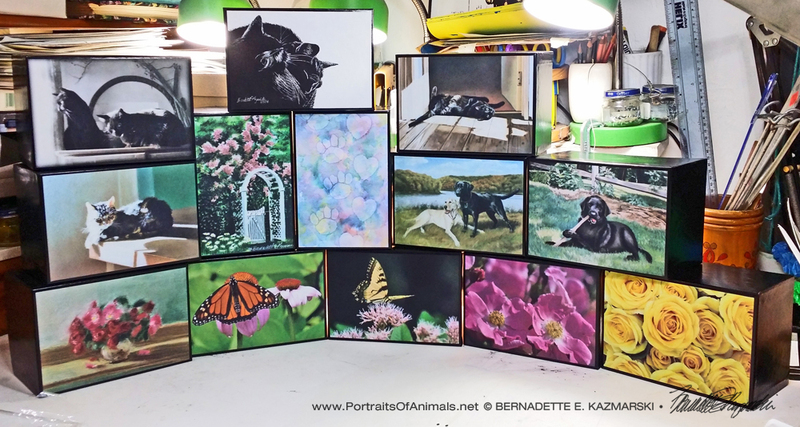 Now with the holidays over and more space in my studio I can work with other images too including dogs, flowers, butterflies and anything else that fits well on top of one of these. 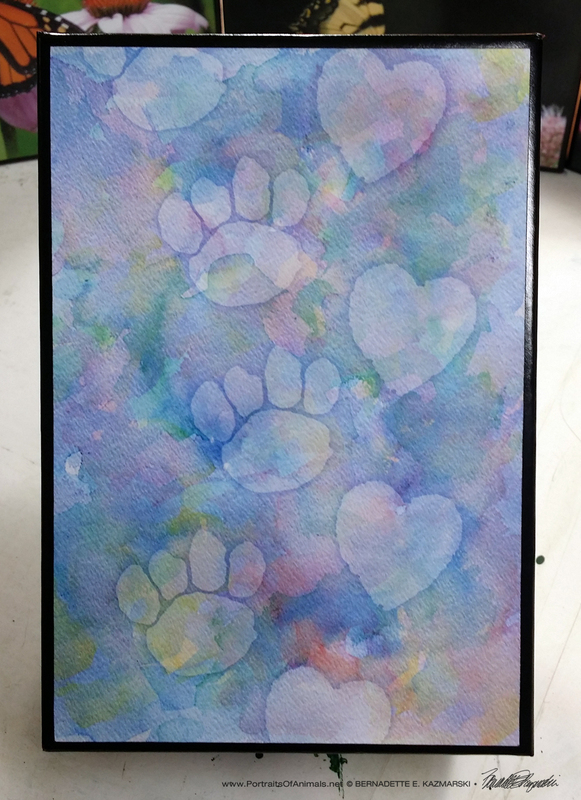 It’s taken me a few years to get around to using them, but you’ll be seeing plenty of them coming up soon, until I run out of them. 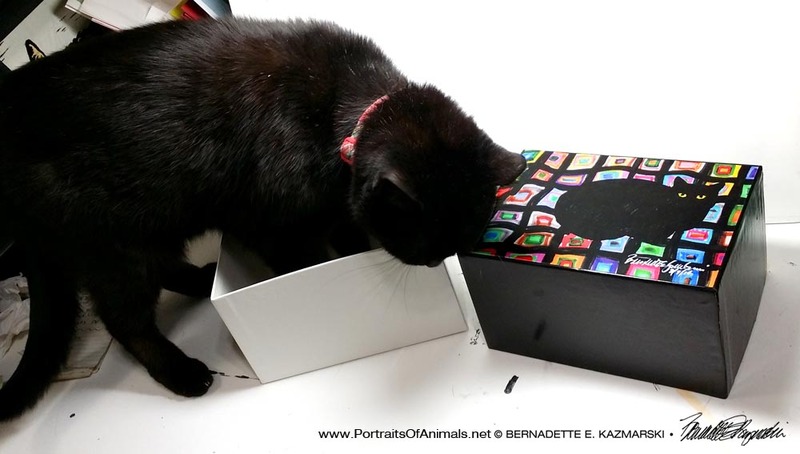 We’ll let Mimi demonstrate what these boxes are like in the gallery below using “Mewsette on the Afghan”. 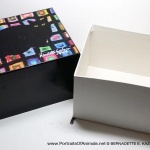 Below are galleries of each of the boxes available. 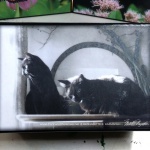 I have only one of each and then they are gone, so order while you can. 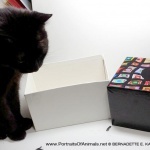 You’ll find the full list in the drop-downs so just remember the name of the one you want. 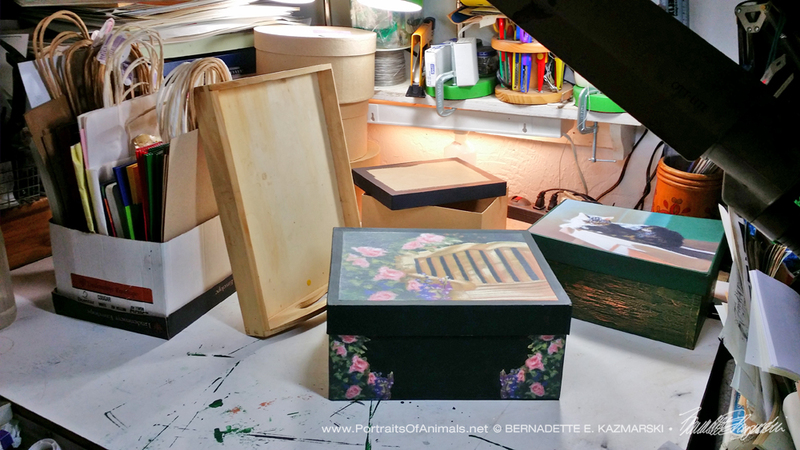 I will eventually add these boxes individually to the “Handmade Gifts” page, but I am also in the process of making more gift items so I’ll wait until they’re all done to add them to the handmade galleries. 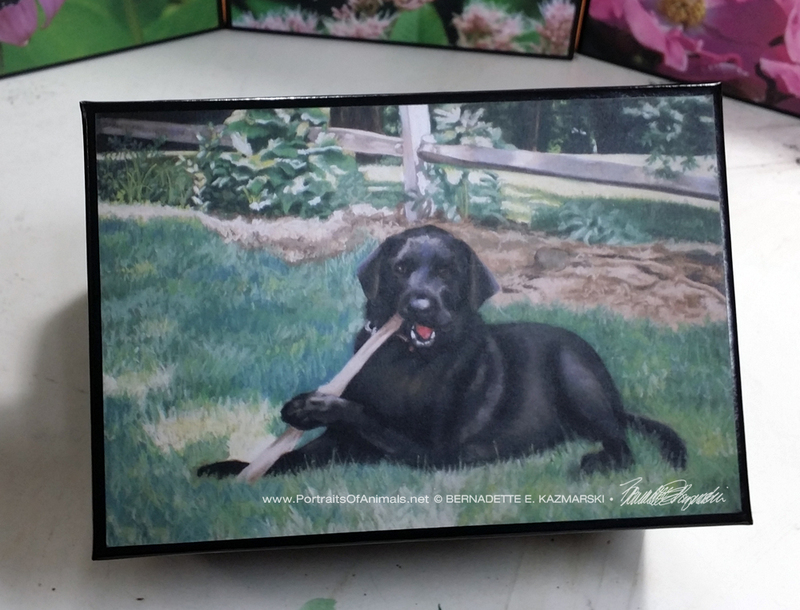 I’ve got plenty of other keepsakes and gift items in the works! 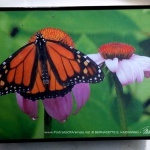 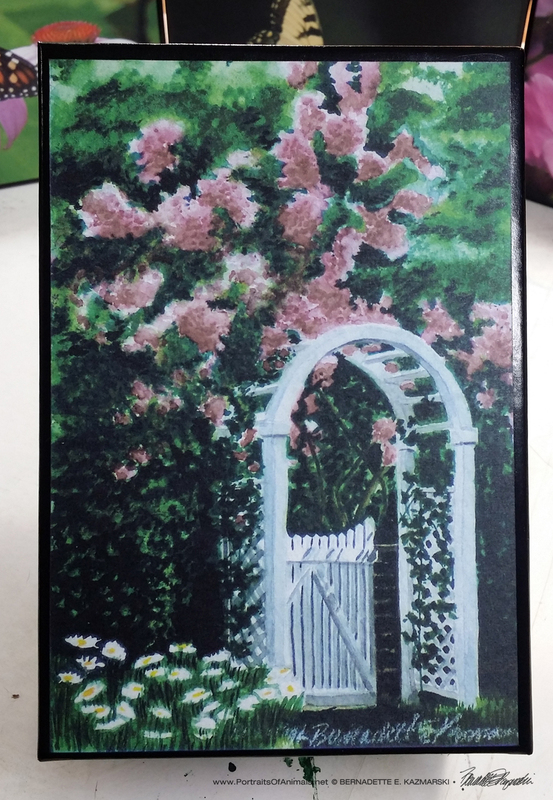 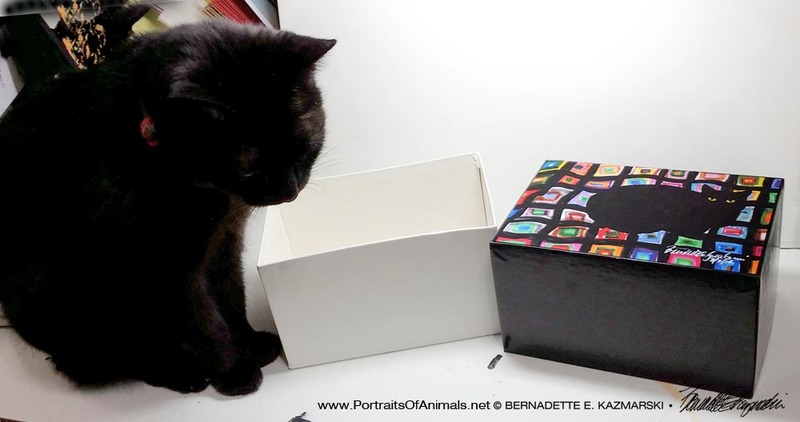 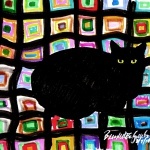 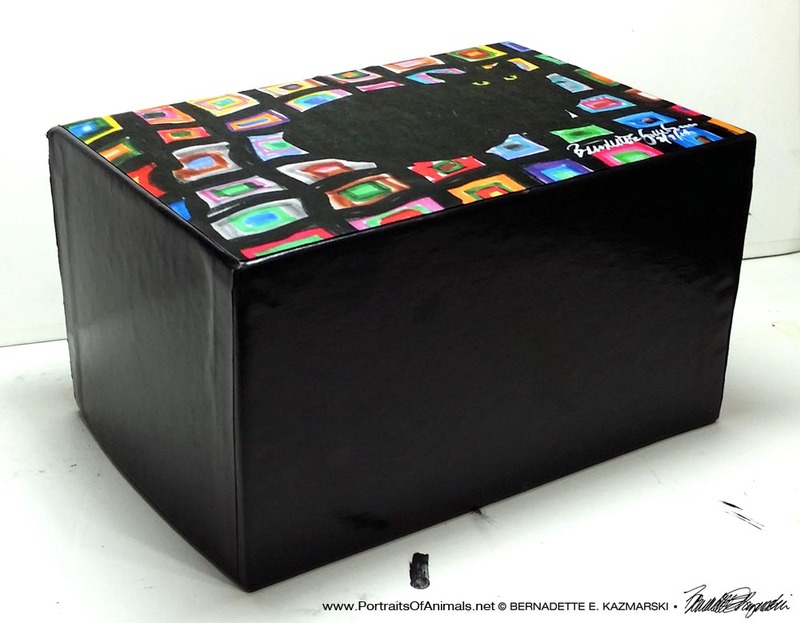 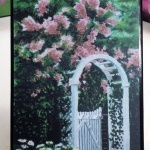 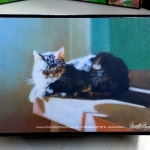 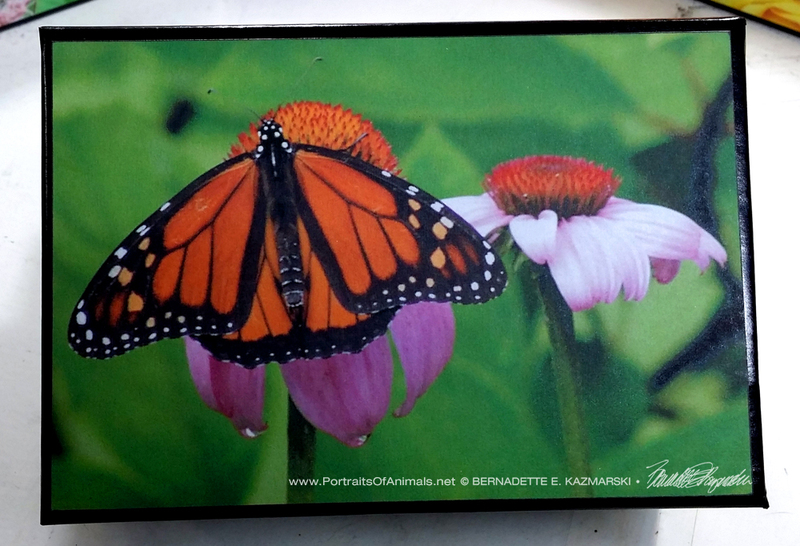 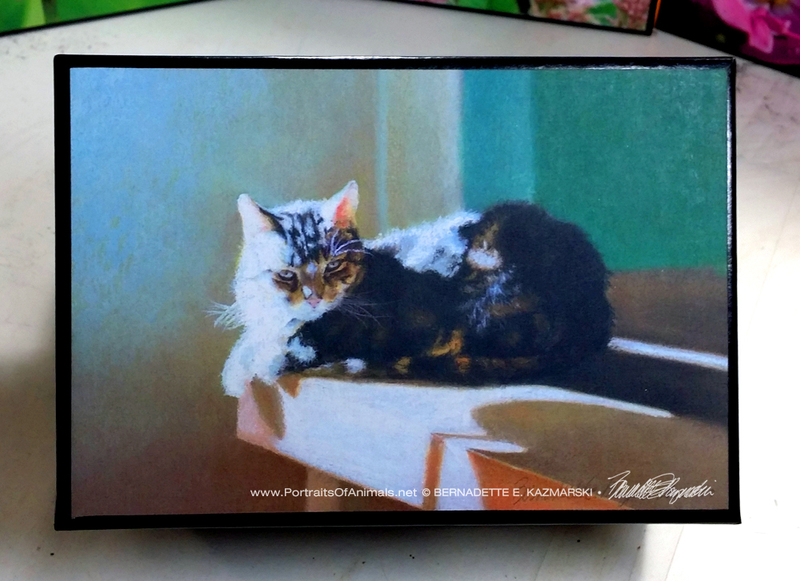 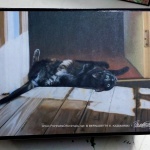 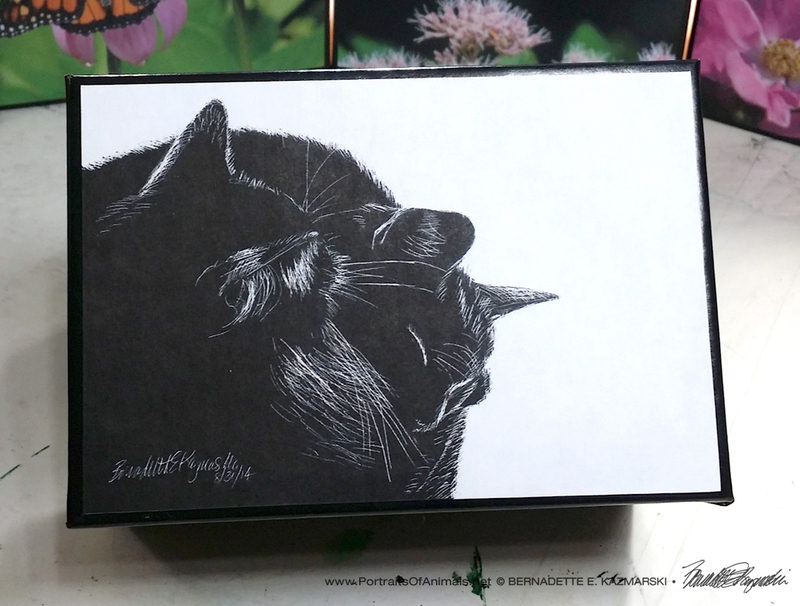 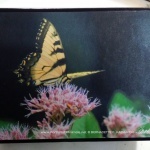 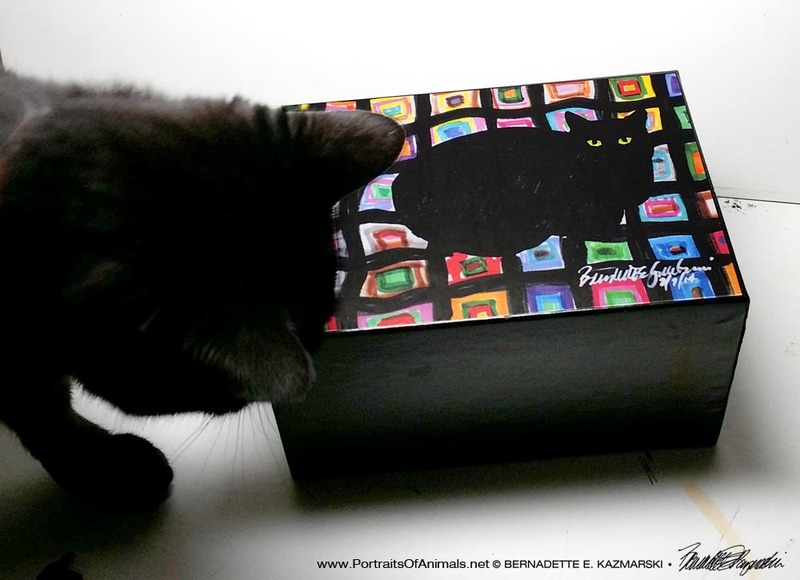 This entry was posted in Gift Items, Handmade Feline Gift Items, Handmade Gift Items and tagged animal artwork, butterflies, cat artwork, cat merchandise, dog artwork, flowers, garden, gift item, small gift boxes, wildlife on February 28, 2017 by Bernadette.